This is our permanent page for Southwest fare sales & promotions. So you can bookmark it as it will be updated regularly. And follow us on Facebook & Twitter to be the first to hear about these deals. Southwest is having 2 separate fare sales. One for domestic flights within California, that ends August 22, 2018 (tomorrow!). And is valid for flights from September 11 through February 13, 2019. And other for various domestic routes, that ends August 30, 2018. And is valid for flights from September 5 through February 13, 2019. 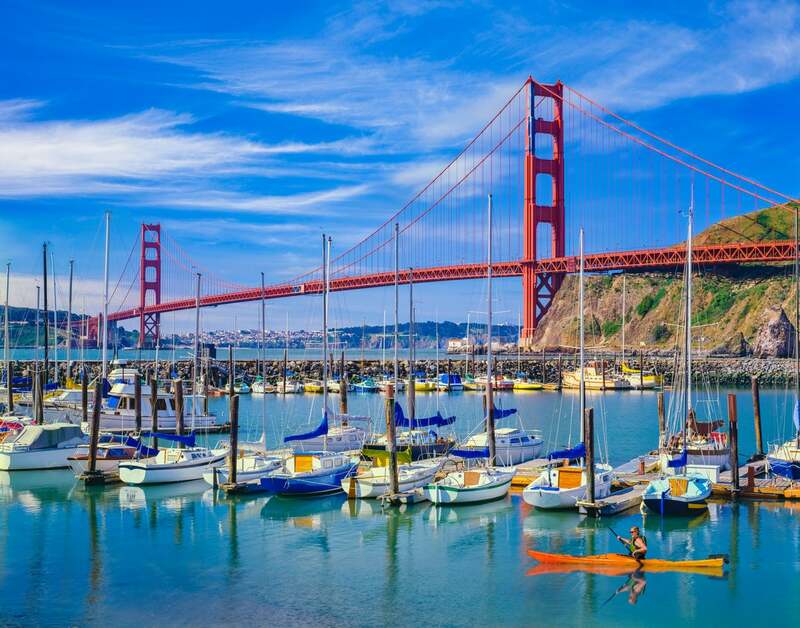 Take a Trip to San Fran With These Sale Fares From Southwest! Here are the current Southwest promotions. Terms & restrictions: Blackout dates include November 20 to 21, November 24 to 26, December 21 to 23, December 26 to 27, December 29 to 30, and January 1 to 2, 2019. Domestic travel is only valid on Tuesdays and Wednesdays. You’ll need to check each individual fare for details. Fare prices include government taxes and fees. You can find more discounted routes and the full sale details here. Terms & restrictions: Blackout dates include November 20 to 21, November 24 to 26, December 21 to 23, December 26 to 27, December 29 to 30, and January 1 to 2, 2019. Domestic travel is not valid on Fridays and Sundays. Check each individual fare for details. Fare prices include government taxes and fees. The full sale details can be found here. And don’t forget, folks with the Southwest Companion Pass could fly to these cities even more cheaply. That’s because, with the Companion Pass, your companion flies with you for just the cost of taxes & fees on both paid and award tickets. There are lots of other benefits to flying Southwest, too. Like their generous change and cancellation policy. And the fact that every passenger gets 2 free checked bags! That alone is a savings of ~$25 per bag compared to other airlines. Do you plan on taking advantage of any of these deals?